BASE is ICAEW’s National Business and Accounting competition for students in school or college aged 16-19. A unique and exciting experience, students are able to engage in a business challenge that enables them to develop key employability skills and understand what it’s like to be an ICAEW Chartered Accountant. Consisting of 49 UK heats and one National Final, BASE allows students of all abilities to; find out more about careers in accountancy, finance and business, compete in an exciting business challenge and network with professionals at a dedicated employer exhibition. BASE offers an excellent opportunity for both students and professionals to take part in a whole day activity, to inspire the future generation of business leaders. With great prizes and an invaluable experience on offer, make sure that your local school or college gets involved in this fantastic competition! 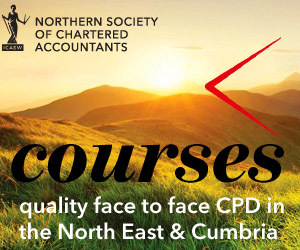 As experts in the accountancy, finance and business profession, we are looking for ICAEW members support at our BASE heats and National Final. There are various volunteering roles available, including; becoming a team mentor, judge or exhibitor. As a judge you have two main responsibilities. Firstly, you will observe the students as they work through the business challenge, scoring them on their performance as a team and how they have demonstrated key employability skills. Secondly, you will take on the role as a business client (joining your fellow judging panel), listening to and assessing students’ business recommendations and advice. You will need to ask relevant questions to all teams and as a collaborative judging panel, decide on the overall regional winning and runner-up teams. What is the role of an Exhibitor? Your role is to represent your organisation at our dedicated employer exhibition. Manning your careers stand, you will talk to students about the profession and what it is like to be an ICAEW member. With the use of promotional marketing materials, you can give students further information to take away with them and find out more about what opportunities are currently available. If your organisation recruits school leavers, why not combine the exhibitor and mentor roles and use the opportunity to ‘talent spot’ your next apprentice?